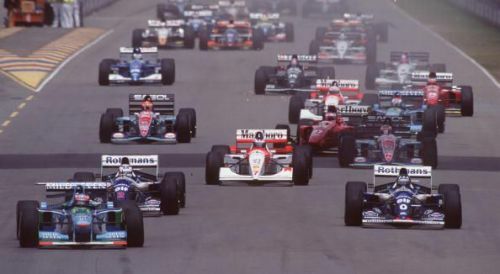 The 1994 race was one of the most controversial in F1 history. Formula 1 and the Australian Grand Prix return this weekend, and fans of the sport will be hoping that Sunday's race will be a suitably eventful affair. Sebastian Vettel and Lewis Hamilton are the two favourites to battle it out for the Driver's World Championship once again, but a change in aerodynamic regulations coupled with some exciting driver transfers has the potential to produce a thrilling season. They say that in life, you should begin as you mean to go on, and motorsport is no exception, especially Formula 1. Here are 5 of the most exciting Grands Prix that have ever taken place in the Land Down Under. 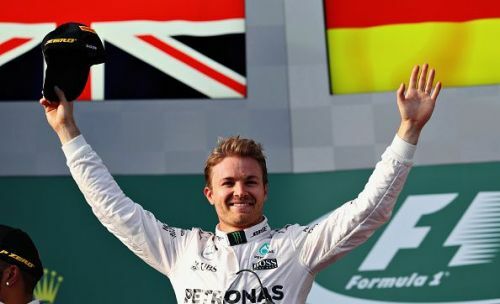 Nico Rosberg won the opening round of the 2016 season, he'd go on to win the title that year. While the previous two years' Grands Prix left much to be desired, the race three years ago, though, was an incredible spectacle. As we've become accustomed to in the new V6 era, the two Mercedes cars occupied the front row of the 2016 Australian Grand Prix, Lewis Hamilton, ahead of Nico Rosberg on the grid, but the Ferraris muscled their way past the pair going into Turn 1. Hamilton had a horror-start, the first of several during this season, and was sixth by the end of the first lap. The order remained largely the same, Sebastian Vettel leading Kimi Raikkonen, until Lap 17 of 57, when Fernando Alonso’s McLaren ploughed into the back of Esteban Gutierrez’s Haas in a spectacular accident to bring the red flags out. When the race got back underway, a strategic error by Ferrari meant that Vettel had to pit once more compared to Rosberg and Hamilton behind him. To add insult to injury for the Scuderia, Raikkonen had to retire with a turbo failure shortly after the restart.